Today’s blog comes from not one or even two locations, but three! 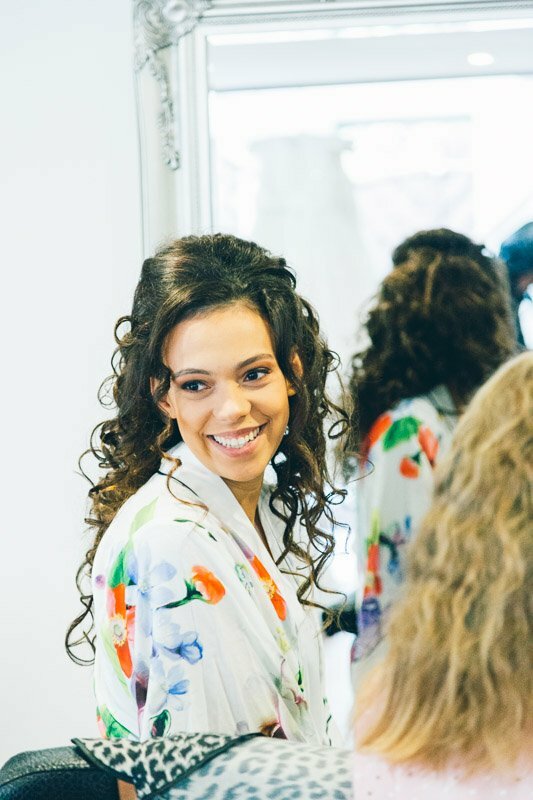 Jennifer and John were married at the Kingdom Hall of Jehovah’s Witnesses in Colne, before going to Gawthope Hall for photography and then onto the Burnley Mechanics for the reception and an evening of fun and dancing. I’ve chosen to write a little about Gawthorpe Hall here simply because it’s a stunning piece of architectural history. The origins of Gawthorpe Hall are in a Pele tower, a strong fortification built by the Shuttleworths in the 14th century as a defence against invading Scots. The Elizabethan house that we see now was dovetailed around the Pele tower from plans drawn up by Richard Shuttleworth but carried out after his death by his brother the Reverend Lawrence Shuttleworth. The foundation stone was laid on 26 August 1600 and building commenced. The Architect is not recorded, but the house is generally attributed to Robert Smythson. From here the hall passed from generation to generation of Shuttleworths until recently where it’s now run by the National Trust. The National Trust describes Gawthorpe Hall as “an Elizabethan gem in the heart of industrial Lancashire”. I would love to write a short history of the Burnley Mechanics here too, but I would end up with over a thousand words and we need to get to Jennifer and John’s special day. If you would like to read some of the histories of the Mechanics I have posted a link at the bottom. Jennifer and John’s wedding was on the 1st September and the day started with Jennifer, her mum, her six bridesmaids and four flower girls at her friend’s house who also happened to be a rather good hairstylist. 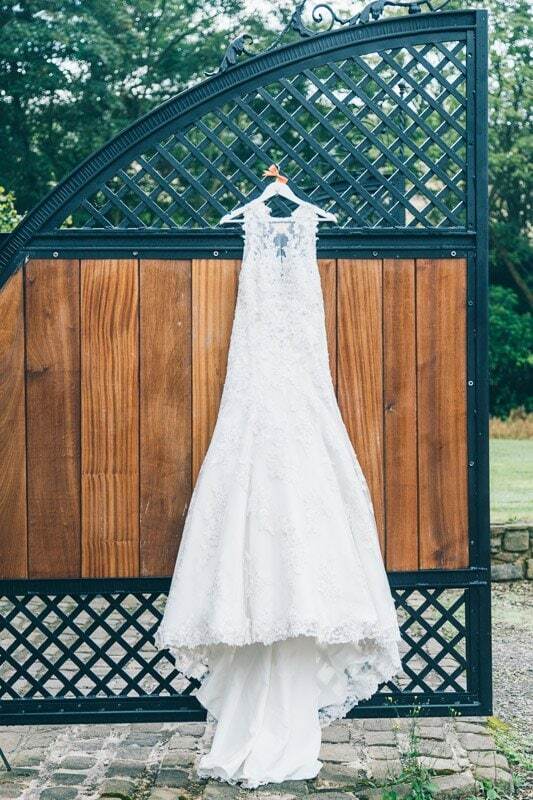 Jennifer chose her stunning dress from Ava Rose Hamilton. Ava Rose has two boutiques, one in Lancashire and one in Yorkshire where they stock a stunning range of wedding gowns from top designers. 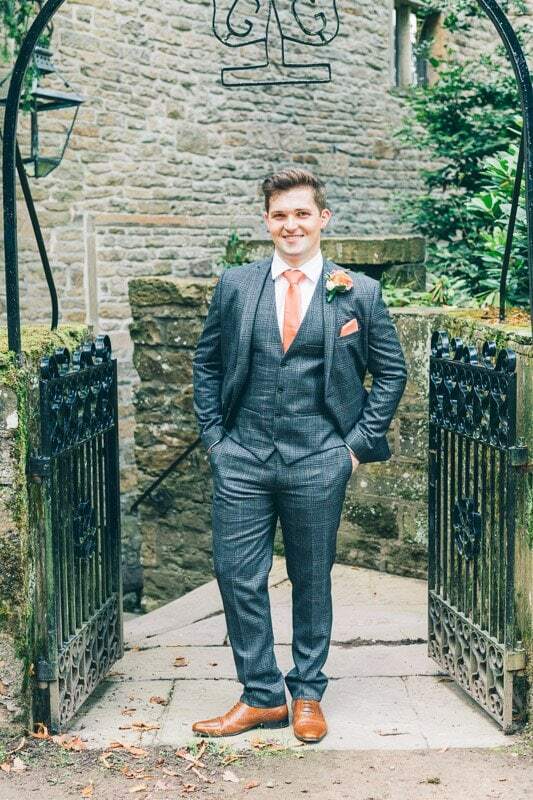 The groom’s suits came from Slaters menswear who have numerous outlets across the northwest. Jennifer’s make up was skillfully applied by one of her friends. Hairstyling was taken care of by Jennifer’s friend Nicola Henney of Nicola Henney Hair and Beauty. 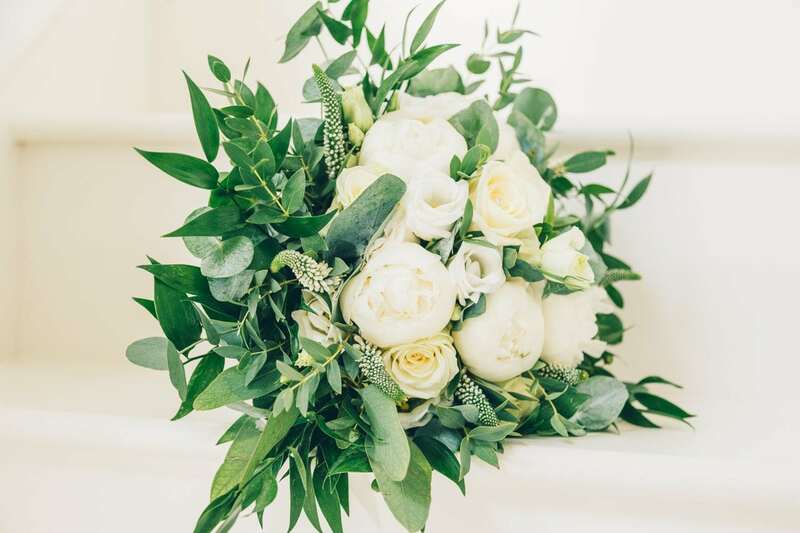 The fabulous bouquets were lovingly put together by Daisy Chain of Burnley using white roses with green foliage and eucalyptus. 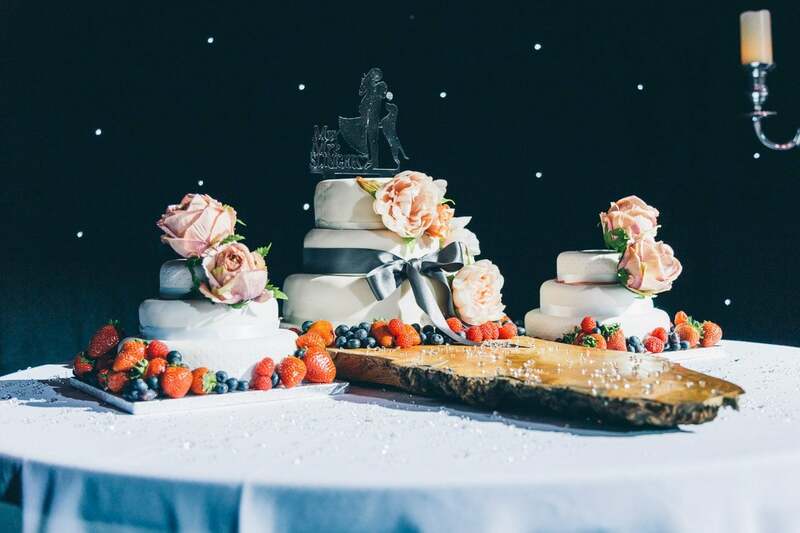 The lovely cake was created by a family friend, and Jennifer designed and created all of the stationary and little details like favours, place names, table plans etc. 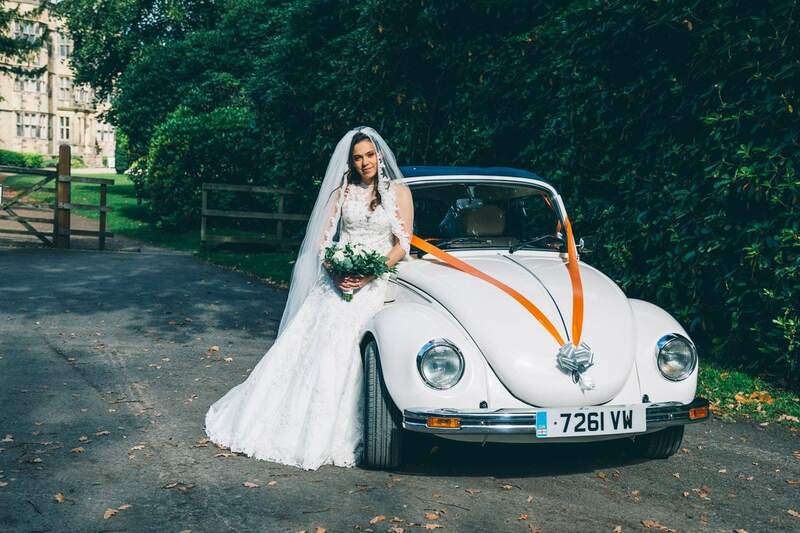 Jennifer and John chose a lovely little Bettle named Ringo to transport them to each venue from Vintage VW’s for hire. For the children, Little Party People came along whilst the wedding breakfast was taking place. The children could have their faces painted and try out some balloon modelling to name a few activities. 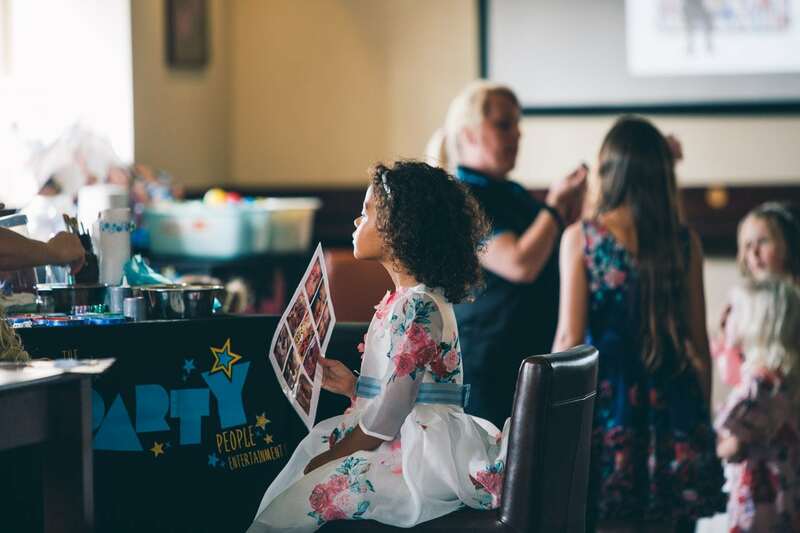 Little Party People offer a variety of fantastic children’s party options, to make special days a relaxing and unforgettable. For the evening entertainment, DJ Ziggy of Hi-Life Entertainment got the party going and wow what a party. 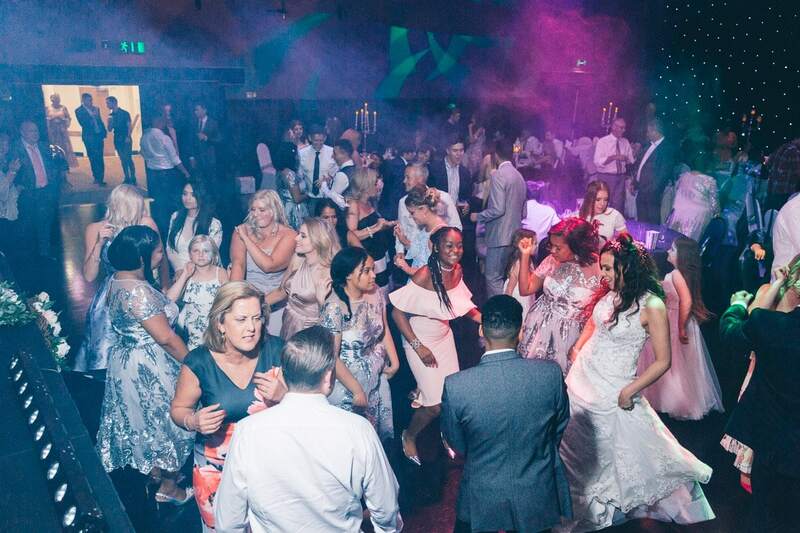 Ziggy certainly knows how to keep people on the dance floor. An amazing evening of dancing and fun.